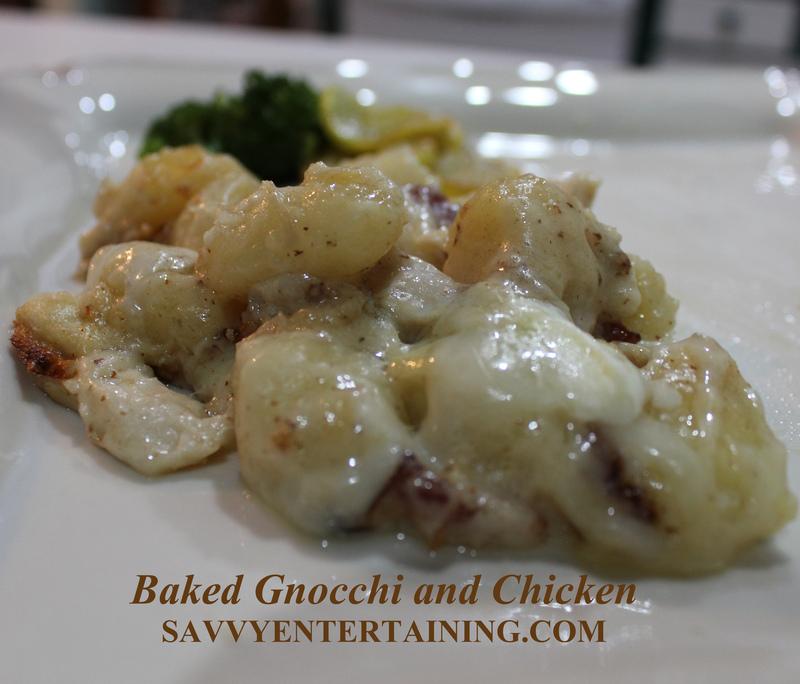 The urge to make some creamy, cheesy gnocchi overtook me the other day. To up the ante, I added in chicken and bacon crumbles. That turned out to be a particularly delicious idea. Captain Cavedweller isn’t a fan of gnocchi. He can’t seem to forget the one time I overcooked it and the results tasted something like paste, except not quite as good in flavor or texture. When he saw what was on the menu for dinner, he started digging in the freezer to see if he could unearth a frozen pizza. I assured him, he would like this. 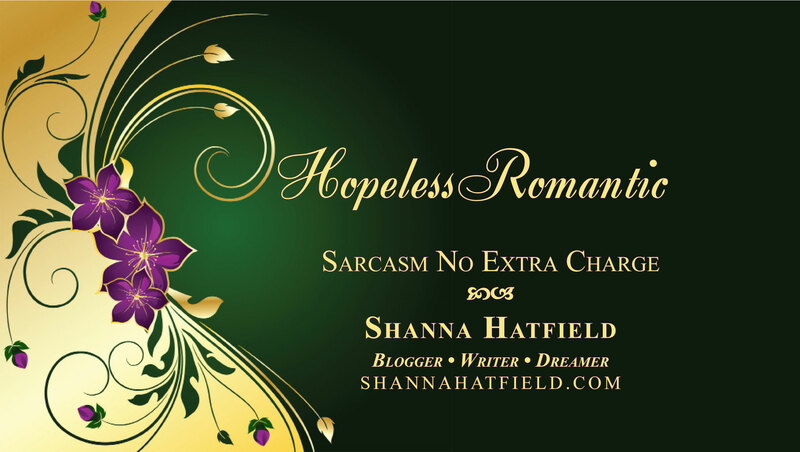 With a dubious expression on his face and a sigh of long-suffering escaping his lips, he sat down to eat. You can interpret that as he liked it. This dish isn’t hard to make, just be sure you keep an eye on the gnocchi while it’s boiling. It seriously goes from tasty to nasty faster than you can blink. Start by frying a few strips of bacon, cut into small pieces. 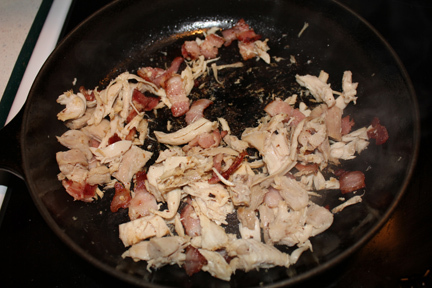 Remove chicken and bacon from pan and set aside. 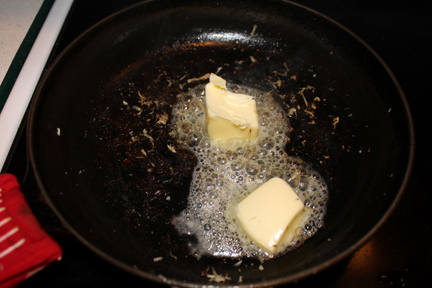 Leaving bacon drippings in the pan, add in butter, stirring as it melts. Put water on to boil in a heavy medium saucepan. Add in flour and stir vigorously. 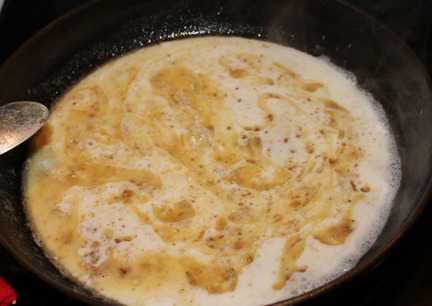 Add milk and cook until it starts to thicken, stirring frequently. Add mozzarella and Parmesan cheese, stirring constantly. The pot of water should be boiling, so add in the gnocchi. It only needs to cook about three minutes, so keep an eye on it. Stir in the cooked bacon and chicken. Add cooked gnocchi and stir to coat, then spoon into a greased baking dish. Bake at 375 degrees for about twenty minutes, until the top and edges of the gnocchi start to turn brown and crispy. 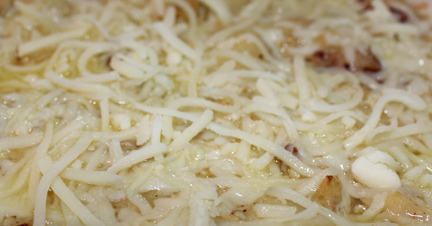 Sprinkle mozzarella over the top and return to oven for a minute or two, until cheese melts. Remove and serve! 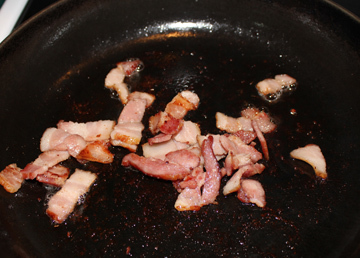 Cut bacon into small pieces and fry in a heavy skillet (I used cast iron). Add in chicken just before the bacon is cooked, to absorb some of the great bacon-y flavor (and grease). Remove from pan and set aside. Put water on to boil in a heavy medium saucepan for the gnocchi. 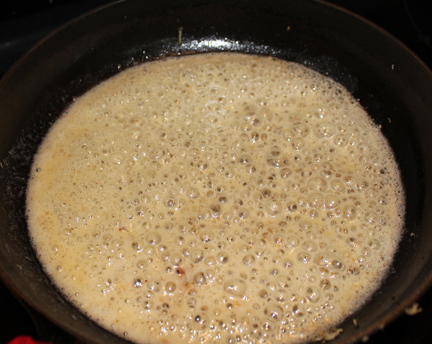 Drop the butter into the skillet with the bacon drippings and melt, then stir in flour. Add milk and continue stirring until mixture begins to thicken. 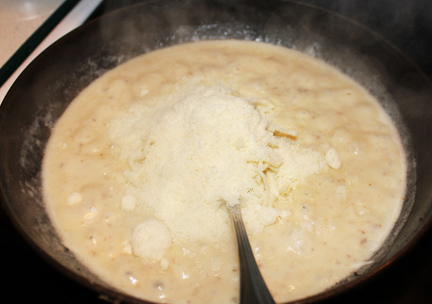 Add 1/2 cup mozzarella cheese and the Parmesan cheese, stirring until cheese melts. 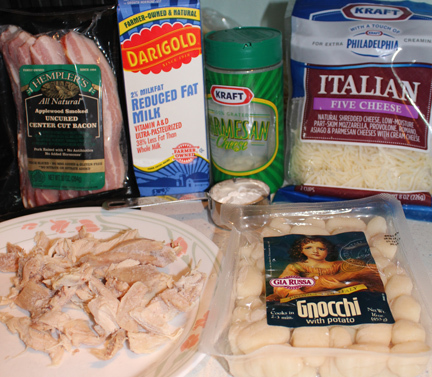 Add gnocchi to boiling water and cook for about three minutes, following package directions. 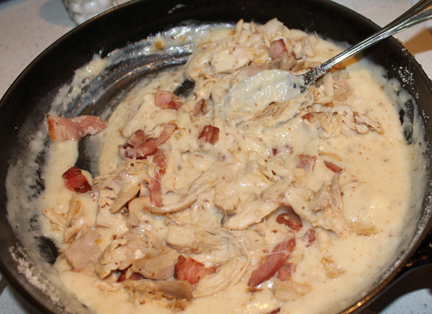 Stir the bacon and chicken into the cream sauce until thoroughly heated. Drain gnocchi and stir into sauce, making sure to coat all the little dumplings. 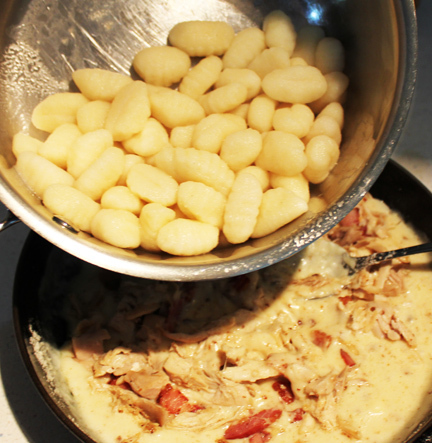 Spoon into a greased 8 x 8 inch baking pan and bake for about 20 minutes, until the edges of the gnocchi start to brown. Remove pan from oven and sprinkle remaining mozzarella cheese over the top. Return pan to oven and let bake just a minute or two, until the cheese melts.